Instructors can select from 40 labs (at a cost of $2.50 per lab to the bookstore, for a typical cost of $25 per semester) covering topics from quantitative reasoning, Earth’s perspective, tools for astronomical observations, Solar System & exoplanets, stars, galaxies, and cosmology. The labs are primarily designed for use in general education courses for non-science majors and require only high school algebra. Students are led through investigations of a concept by a series of questions and are given the opportunity to examine, interact, and experiment with phenomena that are integral to astronomy while developing scientific process skills. The labs use a conversational, Socratic approach and emphasize simple, inexpensive equipment. This website features the annotated Table of Contents with lab titles and brief descriptions, Sequences for example courses, sources for Equipment, instructor Testimonials, and Corrections. Contact your Pearson sales representative for a review copy. Instructor’s Notes, with a comprehensive introduction and narrative guide to each lab, are available from Pearson. The Instructor’s Notes available from Pearson contain an equipment list and detailed narrative for each lab. Labs marked with ** are most readily adaptable as shorter activities for larger lecture classes. Students review the relevant mathematics used in the labs and have the opportunity to practice and apply their quantitative reasoning skills. Do your students need more support in mathematics? See our recommended resource! Students apply quantitative reasoning skills by considering a human spaceflight mission to Mars. Students apply quantitative reasoning skills by considering a human spaceflight mission to Alpha Centauri. Students practice using exponents and scientific notation to understand the Universe. Students use ratios, proportionalities, and unit analysis to simplify equations and solve problems. Students practice creating and interpreting plots in the context of understanding the Solar System. Students practice quantitative skills related to estimation and uncertainty. Students explore the geometry and motion of the Solar System and determine their effect on observations from Earth. Students investigate how the observed phase of the Moon depends on the orientation of Earth and Sun. Students explore the astronomical significance of the North Star. Students explore how the motions of Earth relative to the Sun cause seasonal variations on Earth. Students explore timekeeping based on Earth’s rotation and revolution and compare to Mercury. Students infer the structure of the Solar System based on simple observations. Students investigate the criteria used to select observatory locations on Earth. Students investigate physical phenomena and observational techniques that are the essential tools for understanding astronomical objects. Students investigate the nature of colored light and the function of filters. Students investigate the dispersion of light and interpret spectra to determine the composition of an object. Students explore the link between atomic energy levels and the observed spectrum of a star. Students investigate the structure of a modern research telescope and the functions of its optical parts. Students explore the motions and physical properties of the Sun and planets in our Solar System and investigate the detection of exoplanetary systems. Students investigate the rotation of the Sun and how it is observed from Earth. Students explore how solar energy determines the location and size of the habitable zone around the Sun. Students investigate how to infer the interior composition a planet based on its bulk density. Students use a gravity simulator to investigate orbital motion and Kepler’s Laws. Students explore the gravitational influence of Jupiter on smaller objects in our planetary system. Students investigate the indirect detection of exoplanets using the observed reflex motion of their host stars. Students explore the indirect detection of exoplanets using photometric observations of stars. Students examine the implications of thermal radiation and nuclear fusion on the properties of stars and stellar evolution and investigate the remnants of high mass stars: pulsars and black holes. Students investigate what the color of a star reveals about its physical properties. Students investigate the radius, luminosity and temperature of stars using the H-R diagram. Students apply stellar evolution and the H-R diagram to determine the ages of stars in clusters. Students explore the creation of energy and heavy elements in stars. Students create a model of a pulsar and use it to understand observations of pulsars over time. Students investigate the exotic phenomena caused by the enormous gravity near a black hole. Students investigate the properties of the Milky Way and other galaxies by applying concepts introduced in previous activities, including light, colors, spectra, mass, gravity, and motion. Students explore how dust affects starlight passing through interstellar space. Students interpret observations to infer the structure of the Milky Way Galaxy and our location in it. Students explore how the properties and motions of stars create the observed patterns in spiral galaxies. Students investigate how the motions of spiral galaxies provide evidence for dark matter. Students investigate the observational evidence for our understanding of galaxy evolution. Students analyze the formation, structure, expansion and early history of the Universe and explore the advantages and limitations of light-based astronomical observations. Students investigate the concept of expansion and consider how we can determine the age of the Universe. Students apply the Hubble Law to determine the age of the Universe. Students explore the history of expansion using the Hubble Law and distances to far-away supernovae. Students explore implications of the finite speed of light and interpret observations of the distant Universe. Students examine the background radiation and what it implies about conditions in the early Universe. Students explore what the relative proportions of H and He reveal about the first moments in the Universe. See the Instructor’s Notes for more detailed information about required & optional equipment. Some links use an Amazon Affiliate ID. Selected labs for typical one semester introductory astronomy courses. Some corrections are in individual lab guides in the Instructor’s Notes, and we provide an updated list here. 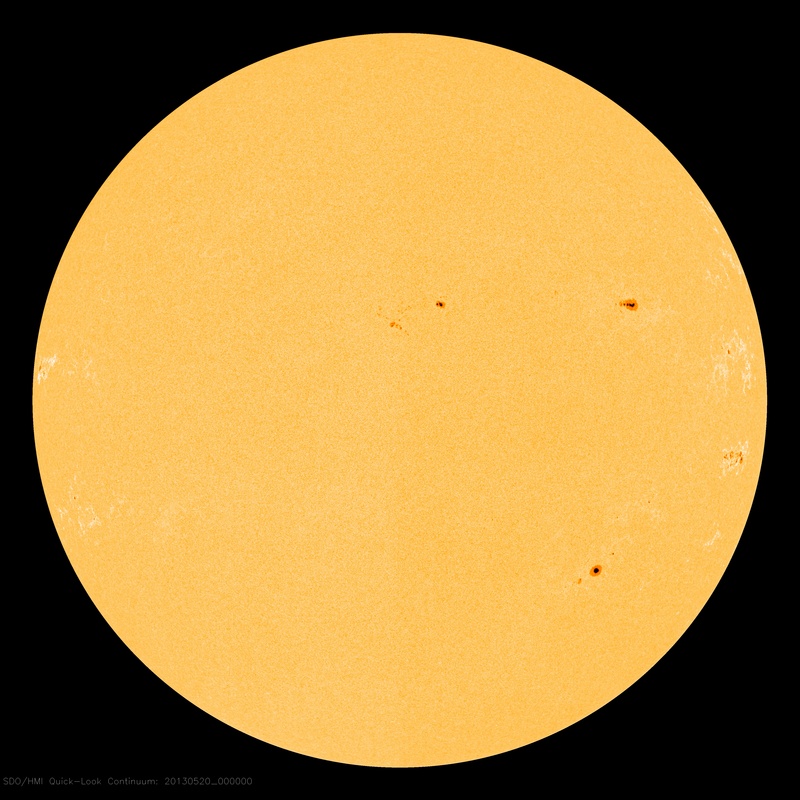 The last image of the Sun is from the wrong date: find a 20 May 2013 image here. Pinwheel illustration should have different patterns on each quadrant (students can add this themselves). Contact the authors with questions, comments, or testimonials.